The Adirondack Balloon Festival is a truly spectacular must-see event. Considered by many to be one of the area’s most spectacular sights of the year, this festival is the largest balloon event on the East Coast. Each year, crowds are drawn to watch this exciting spectacle, and to experience a number of festivities that take place during the event. This four-day event is scheduled to take place (weather permitting) September 17-20, 2015. Each year, thousands gather to watch the event as up to 100+ colorful hot air balloons, including a number of specially shaped balloons, take to the sky against the backdrop of the beautiful Adirondack mountains. During the day, when the balloons aren’t being launched, there are plenty of activities to participate in, including a craft fair, children’s activities, food vendors, kite flying, entertainment, and more. And of course, you won’t want to miss “Moonglow” –a dazzling nighttime display of beautiful tethered, glowing balloons. The main attraction of the weekend is, of course, the balloon launch. The launch takes place at the Floyd Bennett Memorial Airport in the town on Queensbury. The hot air balloons launch from the grounds on Friday, Saturday, and Sunday –so no one misses out. The festival traces its roots back to the early 1970’s. Warren County’s tourism and publicity offices were looking for ideas and events that would bring visitors to the region after Labor Day. At the time, there were few hot air balloons –and one balloonist, John Marsden –shared some images of his balloon with some Glens Falls residents. Shortly thereafter, the Adirondack Balloon Festival was founded –and over 40 years later, it’s still going strong. The Adirondack Balloon Festival is popular for people of all ages, and is open to anyone. The event is awe-inspiring for both children and adults. However, dogs are not allowed at the hot air balloon festival, due to the fact that they can be spooked by the loud pitch of the balloon burners. You’re welcome to bring chairs and coolers to watch the launch, and be sure to bring along a flashlight if you plan to attend Moonglow. And don’t forget to bring a camera, there’s a photo contest complete with prizes –like a free balloon ride, for the best images captured at the show. While the festival itself does not schedule or book rides, the pilots book rides independently. 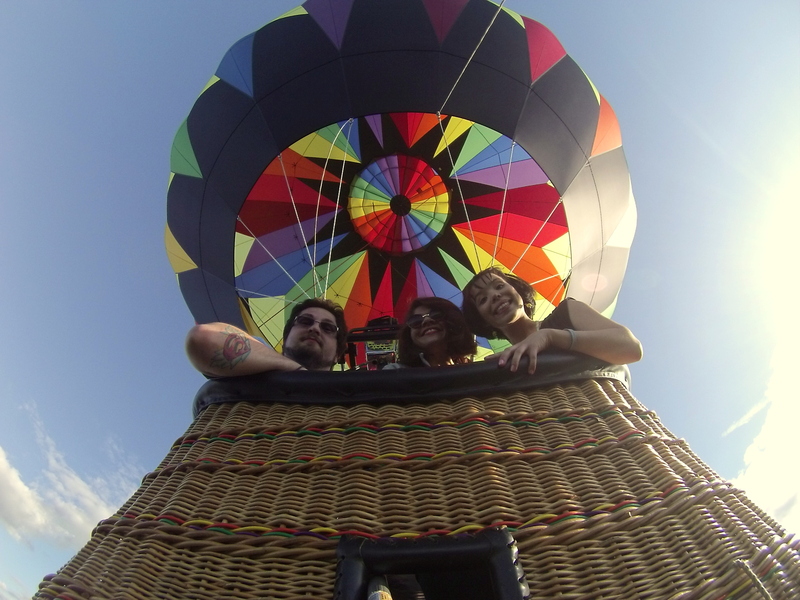 If you have never been in a hot air balloon, then this is your opportunity. Each pilot sets there own price –but generally, the price ranges from $250 – $800. A hot air balloon ride can be an exciting way to celebrate a special occasion, and makes an ideal romantic trip for couples. 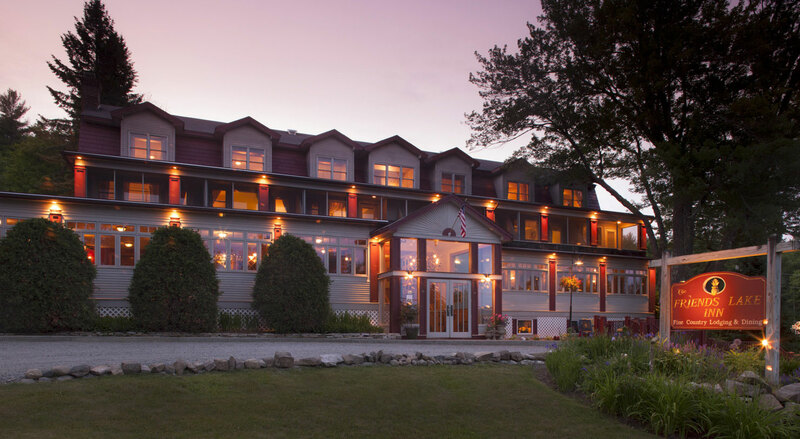 Friends Lake Inn offers just the package! After a fun day of festivities, fun, and watching the amazing hot air balloons launch and float across the sky, relax at the Friends Lake Inn boutique Adirondack hotel. Our luxurious and romantic rooms are luxuriously appointed and designed for your absolute comfort. Rooms are also available with a Jacuzzi, balcony, and fireplace. 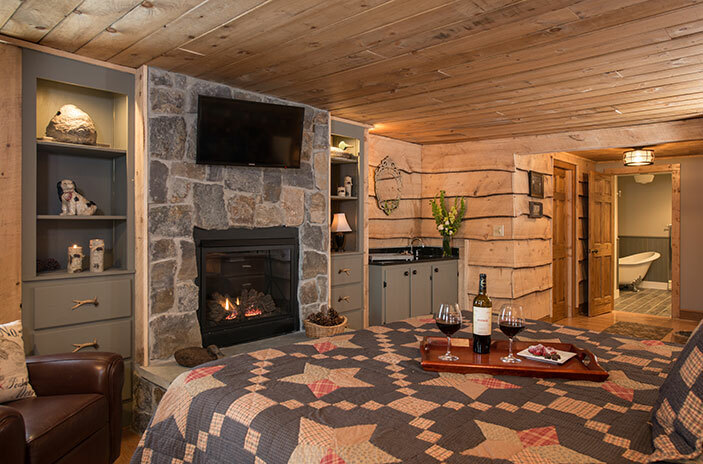 The magnificent views and romantic, rustic setting make it the perfect way to experience the Adirondacks. If you’re looking for an escape to the Adirondacks, why not plan your trip around this exciting event? To book your stay at Friends Lake Inn, visit us online. Be sure to book early for accommodation during the Adirondack Balloon Festival, since space is often limited. Hope to see you there!